Swans gracefully glide by. 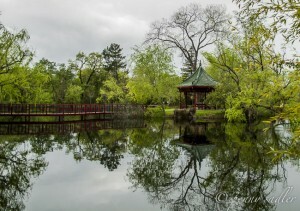 Ducks splash and play as they swim past the red lacquered pavilion and under the weeping willow trees. Standing on a bridge over the lake, you see vineyards in the distance scaling the side of the mountain. 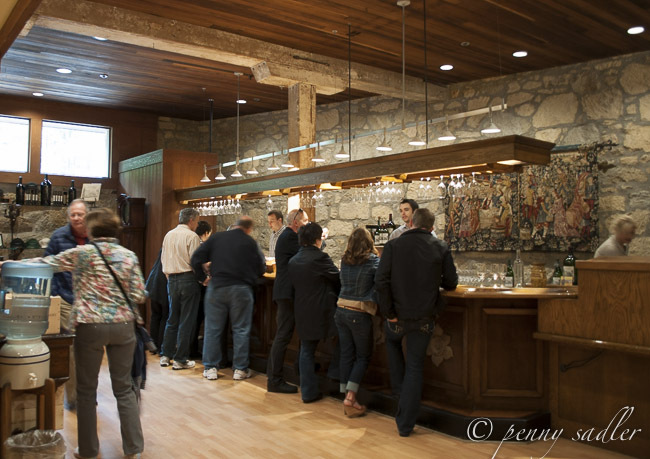 Above, a 100-year old stone winery, modeled after a French chateau, produces some of the finest wines in the area. The atmosphere is serene and joyful at the same time. Where are you? If you’re a wine fanatic, or in the trade, you’ll know exactly the place I’m describing. If not, maybe the movie Bottle Shock was your introduction. Or maybe, like me, you got lucky and someone took you to Chateau Montelena. 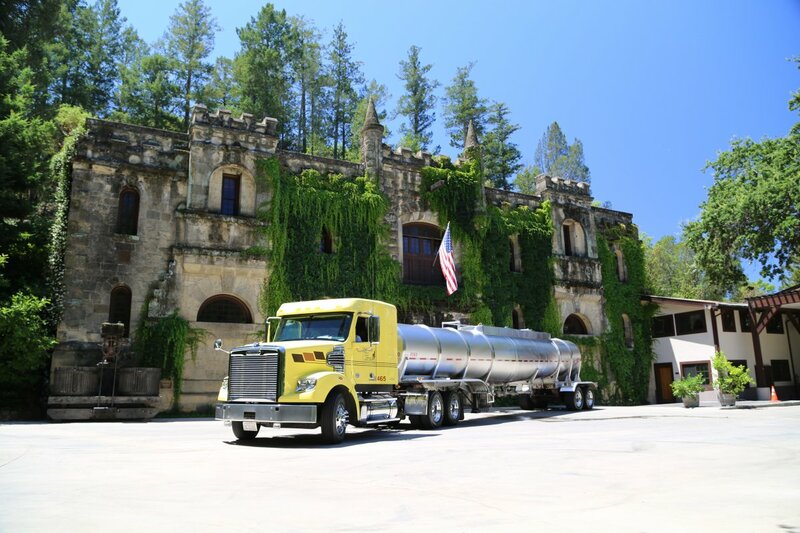 The story of Chateau Montelena is just the kind of story that Hollywood loves. 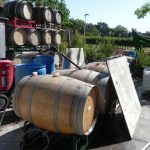 In fact, Bottle Shock, released in 2008, tells the story (a Hollywood romanticized version) of how the 1973 Chateau Chardonnay won the 1976 Paris tasting, scoring higher than six other California Chardonnays and four distinguished white Burgundies, in a blind tasting…in Paris… much to the dismay of the French. In that moment in 1976, the world of wine changed on a global scale. 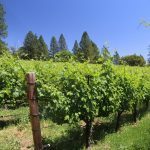 Napa Valley became a world-recognized region for viticulture – and all because of the vision of Jim Barrett, who wanted to make wine in the old world style. A fun detail about that 1973 Chardonnay: the entire lot of wine, about 500 cases, was almost trashed when it was discovered that the color was off, due to a transitory instability created in the bottling process called pinking. The results of the Paris tasting were written up in Time magazine and several other international periodicals. One journalist wrote that the 1973 Chateau Montelena Chardonnay was expensive, at six dollars a bottle. Wow! There are people out there who would do things they’d later be ashamed of to acquire a bottle of wine of that quality for six dollars today! 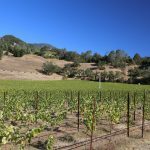 Chateau Montelena still produces award-winning wines, and with recent upgrades to the winery, Bo Barrett, who has been working at the winery since 1972, says that today’s Chardonnay is even better than the 1973 vintage. So you may be wondering: did I taste the Chardonnay? 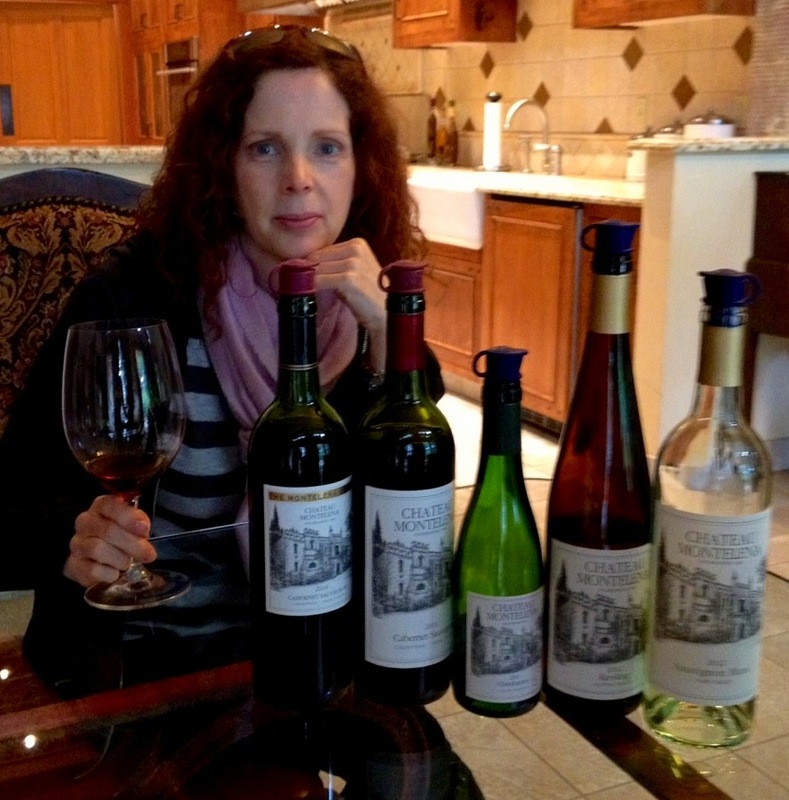 You bet I did, along with four other wines that are included in every tasting at Chateau Montelena. I’ve never been a big fan of Chardonnays, to be honest. I always found them too oakey or too heavy, or too something. After tasting the Chateau Chardonnay, I concluded that I just had never had a truly good Chardonnay. I think the delightful story perhaps sweetened my tastebuds a little, too. Alas, nothing less will ever suffice. Other wines included in the tasting were the Estate Cabernet, the 2012 Reisling, the 2012 Sauvignon Blanc, and the 2011 Cabernet Sauvignon . I was lucky once again, as the Cabernet had just been released. Honestly, I liked them all. 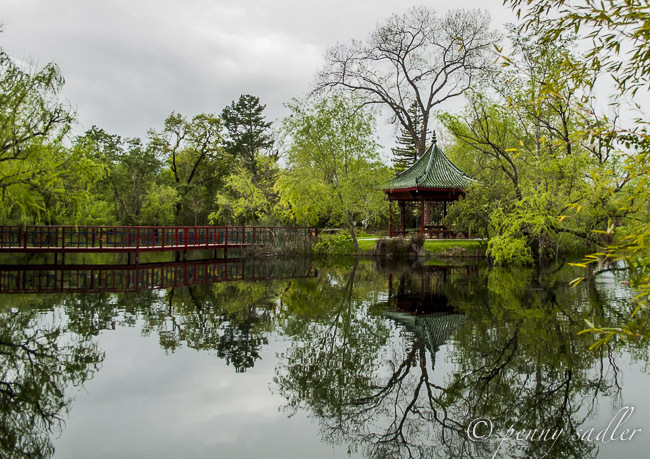 If you go to Chateau Montelena, be sure to visit Jade Lake to see the swans, ducks, and that gorgeous red lacquered pavilion. I also think it would be fun to take a tour of the old vineyards, planted in 1972. Don’t miss the hallway just off the main tasting room where there is a bottle of the 1973 Chardonnay displayed behind plexiglass, along with the Time magazine article. 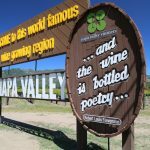 Sample all the wines, but especially the Chardonnay…and try to imagine what it must have been like to be a new vintner, who manifests his dream of making old world wines in Napa Valley, and changes the world of wine forever. 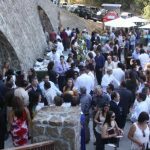 My visit to Chateau Montelena was sponsored by Visit Calistoga , however all opinions expressed here are my own.